KOCHI: It has been eight months since Oceanic, a fishing vessel, sunk into the depths of the Arabian sea around 27 nautical miles off Kochi coast leaving three dead and nine fishermen missing. The fishermen community has been clamouring to regulate the ship traffic and provide communication gadgets to fishing vessels. Though the state government had promised to distribute Navic, a satellite-enabled communication gadget developed by ISRO, to all fishing vessels, the project is yet to be implemented. With incidents of mid-sea collisions occurring at regular intervals, the fishermen are in anguish. On March 30, three fishermen from Munambam fishing harbour were lucky enough to survive a mid-sea collision as an unidentified ship hit their boat snapping its bow. “The Fisheries Department has launched a project to distribute Automatic Identification System (AIS) to mechanised fishing boats. The equipment costs around Rs 50,000. There is another project to distribute satellite phones to fishing vessels. The cost of the gadget is Rs 6,000. 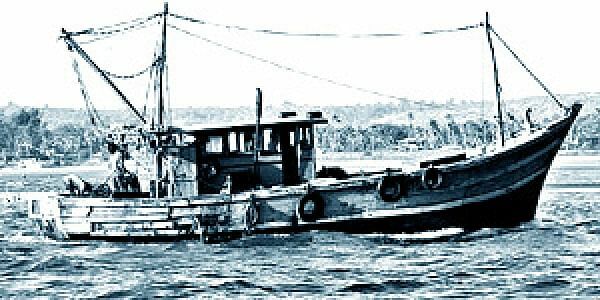 Mechanised boats have to pay 50 per cent of the cost while traditional fishermen are eligible for a 90 per cent subsidy. Around 100 AIS have been distributed already. Navic costs around Rs 9,000 and traditional fishermen will get it for Rs 1,500. Around 50 gadgets have been distributed,” Fisheries Deputy Director S Mahesh told Express.The Union Government had introduced the National Marine fishing policy in 2017, providing guidelines to usher in Blue Revolution. The policy included recommendations for distribution of safety equipment and communication gadgets to the fishermen. Two years on, the fishermen are yet to get the equipment. The Kerala Government had given a similar assurance to the fishermen community after Cyclone Ockhi claimed 60 lives on November 29, 2017. Though the project was launched with much fanfare only a few Navic gadgets were distributed. “The ships entering Kerala coast have to inform the Coast Guard as per the code of conduct introduced by the International Maritime Organisation. There are around 35,000 fishing boats in Kerala which cross the shipping channel in the east-west direction. More than 500 cargo ships pass through the shipping channel close to Kerala coast everyday in the north-south direction. “This increases the chances of mid-sea collision. On Saturday, the fishermen were casting their nets when the ship rammed the boat. The Mercantile Marine Department should ensure the ships follow the code of conduct,” said Matsya Thozhilali Aikya Vedi president Charles George. The mid-sea collision on March 30, in which three fishermen sustained minor injuries, has prompted fishermen to release a 13-point charter of demands. The community members will cast their votes only if the candidates assure to implement the demands. “We are demanding an assurance from the candidates to implement our demands if they are voted to power. We will cast our votes only in favour of the candidates who accept these demands,” National Fish Workers Forum general secretary T Peter told Express. Formation of an independent Fisheries Ministry, scrapping of the Coastal Regulation Zone (2018) notification and steps for protection of coastal resources, protection of the livelihood of traditional fishermen, shifting of the shipping channel outside the continental shelf, ban on destructive fishing practices and distribution of safety equipment to fishermen.